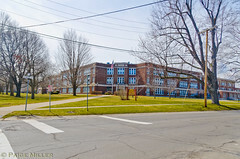 Students of the 8th Grade at Spry Middle School in Webster, N.Y., were banned from speaking the word freedom and from wearing shirts bearing the word freedom at a school rally on March 4th, 2011. 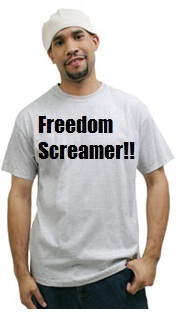 Several weeks earlier students had begun organizing a protest campaign planning to shout the word freedom and wear shirts with the same word written across the front at the upcoming rally. This protest was to support a classmate who had been suspended, arrested and put on trial in town court for possession of a small amount of marijuana. As each class was introduced there was yelling and screaming, each class trying to out-shout the other. When it came time for the 8th Grade, the Principal made the introduction, everyone awaited the loudest screams of all and…TOTAL SILENCE! With their “silent freedom scream” these adult-minded children showed their childish adult supervisors the failure of Prohibition, the power of protest and the meaning of Freedom. A week and a half later, on March 15th, units of the Webster police and the Monroe County Sheriff’s Office entered Spry Middle School, a “gun-free zone,” heavily armed with batons, tasers, and loaded handguns. There had been no 9-1-1 call. There had been no complaint. Students were held hostage, forced to remain in one place for almost an hour. Three German Shepherd police dogs were circulated through the hallways, barking aggressively and scaring the children in the classrooms, according to eyewitnesses. Several students were taken away for interrogation and were hand-searched by adults not related to them…nothing was found and no arrests were made. BUY A SHIRT AND SPREAD THE MESSAGE !! 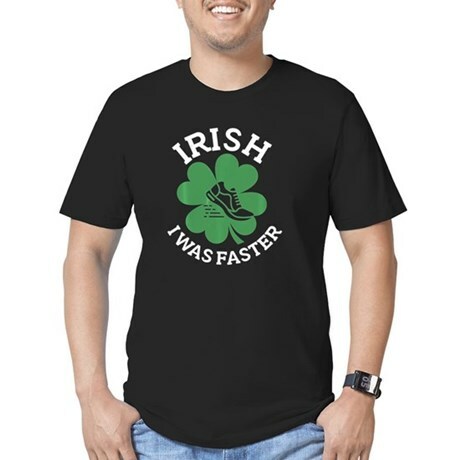 ONLY $ 26 !! SPREAD THE MESSAGE !!! ONLY $26 !!! Monroe County sheriffs office entered Spry middle school , a “gun free zone ” , heavily armed with batons , tasers , and loaded handguns . Great that you re blogged this but, as the author did in this article, “gun free zone” does not apply to Law Enforcement! Common sense, but it sure makes for a catchy headline right? That being said, what is happening here is not only criminal but down right EVIL! You think kids of all people are gonna listen if someone says don’t say that! Kids are the most resilient living beings on Earth! Charges should be filed from the principle on up as well as the officers making the arrest and fondling the children in absence of the Guardians! f that does not work, dress your kids in a Grand Kilt, hand them a Claymore, send them to combat…… just tell them to act out Braveheart! Awesome, TK. I think the point of mentioning that it is a “gun-free zone” is that the children couldn’t (and can’t!) defend themselves from their menacing overlords, not that “law enforcement” was breaking that particular statute fake-law. I’m surprised there are no other news stories on case. Know where I can find more information on this? Thanks. I am not surprised that there is no other news on this, what does surprise me is that there are only 2 comments before me. If I were the parent of one of these children I would be furious. I assume, perhaps wrongly, that like me, my child is an American citizen. Time to get rid of all the administrators in that school. Also the schoool board for not taken action against all the administrators. I am more proud than I can express that this generation is so ready to stand and fight. They will absolutely need to if they want to be free in today’s increasingly controlled America. This “drill” was *obviously* a punishment!!! I hope the students plan another rally, wearing the *same* shirts and doing the *same* things. Totally, Alice. Never forget: an unjust law is no law. Until it is exorcised from our land, there is no peace. Awesome. It is never too early to criminalize kids…Even if they didnt do anything. i have to wonder…if the parents don’t take their children out of the school after all this, what do the kids really learn? And who motivated the kids to do this if it wasn’t their parents at home? I would love to repost this, but whoever wrote it has no sense of basic English grammar and syntax. Honestly, I’d be ashamed of putting up a link to this kind of “writing.” But the content is noteworthy. This is so perfect. It illustrates with crystalline precision what is happening to America. We beat the Soviet Union. Then we became them. Time to end public schools altogether, period. They’re government prisons, and property taxation is slavery besides. getting rid of public schools instead of getting rid of the administrative figure heads, is like saying we should get rid of drug addicts and users instead of the growers, cookers, and distributers, in order to fix the drug problem. Public schools are as good or as bad as the power heads that are running them! What I am having a hard time wrapping my head around is where the heck the parents are in all of this! I did not read one sentence that stated the reaction of and the actions that will be taken by the parents! Come on, your children are braver and have more patriatism then their own parents! Why the hell arent u screaming to the civil rights organizations, the church heads, your senator your mayor!!!! You are responsible for how your school systems are run, thats why we have school boards! come on parents, fight for your kids rights, for the honor of your country and all we benefit by it! Government (ie public) schools are not much different than prisons, and they are DESIGNED to indoctrinate children. Read some of John Taylor Gatto’s work (he was NY Teacher of the year 2 or more times, until he finally blasted the system and told the truth about how horrific our entire schooling system is for our children). Learn the insidious history behind WHY our school system was designed this way. It’s not “broken”; the schools are doing EXACTLY what they were designed to do: Dumb-down kids, turn them into homogenized robots willing to do whatever authority tells them without question, the perfect worker-bees for corporate monopolies. (remember the Nazis – they did what they were told, w/o question). You couldn’t pay me enough to put my precious children in a government school. Can Courtroomobservation cite ANY source with which to corroborate the information in the blog post? I live in Rochester, and I have not been able to confirm the events described through any local sources. Friends of mine in Webster have not heard of the incidents described. If you have any official information regarding this please send it to myself via the email recorded with this comment. I have notified the Genesee Valley NYCLU chapter of this rather horrifying situation and they also may be contacting you for information as well. Thank you for bringing this to our attention. See letter in boldface beneath the above article. Thanks for the tip great Idea I will work on that.